What you choose for your appraiser website domain name can make a big impact on your business, and it’s important you get this right from the beginning. Lets talk about having a proper domain. One of the first things you’re going to need to do is choose a proper domain name. Even if you have a website already, you might want to consider that you might need to change your domain. So, let’s talk about some of the important points when you’re looking to choose a domain name for your appraiser website. The first thing is you want to make it easy to type, and I can tell you in preparing for this training, I probably looked at close to a hundred appraisal sites out there. I saw so many different domains that were very difficult and tough to remember. They just made it harder than it really needed to be. You don’t really want to get tricky and fancy here. An example would be to make sure it’s easy to type and easy to remember, but keep it as short as possible. I’ve seen some really large domains out there and it’s going to be near impossible to remember those. It all goes back to making it as easy as possible for your clients or potential clients or visitors to remember. Don’t try to get to difficult with that and keep your domain name as short as you possibly can. The other thing that you want to make sure is, is it available on all social channels? I see appraisers make this mistake all the time. Meaning that if you go into GoDaddy to select your domain name and it’s available and you say, “Okay great, the domain name is available”… But then maybe you want to have that same name on Facebook or Twitter or LinkedIn or YouTube and you find out after you’ve done all this building out of that domain name that somebody has already got it on LinkedIn or somebody already got that name on YouTube, and that kind of affects your overall branding. I can share this with you first-hand that I’m doing a whole rebrand on a couple of other things I’m working on, and I found some great domain names for that. I was actually surprised that they were still available. Then I went into KnowEm.com and I was really bummed that when I went in there, they were available on every platform except LinkedIn which really kind of shot me in the foot because I can’t move forward with those domains if they’re not available in all social channels. If you’re looking for a domain name I’d encourage you to run it up against KnowEm.com. It will tell you on the site if that domain is available on all of the social channels. If it’s not, it will tell you which ones are not available. It’s really great resource for you guys. Whenever you can, you still want to use local keywords if possible. So, for instance if you’re in Phoenix, using “PhoenixAppraiser”, that’s going to go a long way towards helping you rank. It’s not as powerful as what it used to be having it in your domain name, but it’s still very powerful and highly recommended. If you can get a geo-targeted domain, it’s really great for your business. I’ll use Phoenix here as the example. PhoenixAppraiser.com would be a great one to have. Or maybe you’re in Omaha and it’s OmahaAppraiser.com or whatever it might be. If you can get a local keyword in your in your domain that would be great. Maybe it’s PhoenixCommercialAppraiser.com if you’re a commercial appraiser, and you’re specializing in the Phoenix area. One of the other things you always want to avoid is putting numbers or hyphens in your domain name. 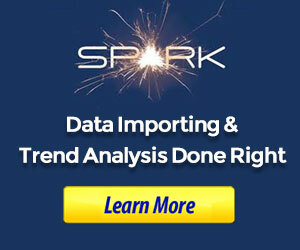 Don’t make this tricky as what this is going to do is drive people to your competitors. So if PhoenixAppraiser.com was unavailable. You say well, I didn’t get that but Phoenix-Appraiser.com is available, then more than likely people are going to forget about that hyphen and you’re going to be driving people to PhoenixAppraisers.com so you’ll be driving people to your competition. I would never recommend that you put in numbers or you put a hyphen into your domain. Now, what if the .com is not available? We used to do really well with .net and we even did well with .org for a while. For example, if PhoenixAppraiser.com was not available, then we’d use PhoenixAppraiser.net and that would still work for us in the past very well. But what I really recommend now is that you really try to get a .com. If you have something already that’s a .net, that’s no problem whatsoever. You keep can keep that. We still use .net but whenever possible you want to get a .com. It’s pretty easy to do and maybe PhoenixAppraiser.com is not available but you could get AppraisersinPhoenix.com. That would be simply adding a word. So it’s really easy to do. You don’t want to have multiple words to where you’re making the domain really long, but if there’s a word that you can add somewhere in there that would make that domain makes sense, then I would go with that. One of things that we’re doing in Southern California is building out a couple different market areas. Right now, in my market area, let’s say LosAngelesAppraiser.com is not available but AppraisersLosAngeles.com is available. You can also simply reverse the words as well. That’s something that we’re testing. There are a lot of ways that you can tweak it that still makes sense. The point being whenever you can get a .com I highly recommend that’s the first place you start. Another thing that a lot of appraisers don’t realize is that they can use plural. 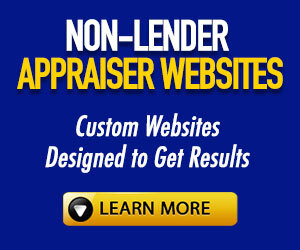 Maybe PhoenixAppraiser.com is not available… If PhoenixAppraisers.com is available, you could grab that. Or what about PhoenixAppraisals.com? Is that available? There are different ways that you can still get the .coms and not just for the exact primary keyword that you’re looking for. Having said that, one of the things that we do and we recommend for our clients as well is purchasing the extensions. If PhoenixAppraisers.com was available, then I’m probably going to buy the .net as well just so my competitors don’t get it. If there’s a misspelling, like on the ExpressAppraisal.com or XpressAppraisal.com, I would buy both of those just to have it and then I would do a forward on one of the domains. But back to PhoenixAppraisers / PhoenixAppraisals… for me, I’m in a market area, I personally am going to buy them all so that my competition can’t. So if I went into Phoenix and I saw PhoenixAppraiser.com was available, PhoenixAppraisers.com was available, and PhoenixAppraisals.com was available, then I’m going to buy all of them if for no other reason so that my competition can’t get those domains. Just a little tip on same thing for you. What if your domain is not available? I want to give you a couple of resources here… You can either go into Namemesh.com or Nameboy.com and type in let’s say PheonixAppraiser.com. If that is not available just go ahead and type in “Phoenix Appraiser” and it will give you a big list of different keywords or different domains that are available. It’ll auto-populate different names. Remember where I talked about adding a name into the domain? It’ll do that automatically for you for some domains you didn’t even think about. That’s a great place to go if you’re struggling with a domain name. Just go in there and see what Namemesh.com or Nameboy.com can come up with and maybe it can help you decide what is going to be the best domain to use for your business moving forward. The last thing I want to mention is when you’re deciding on a domain, you want to make sure that it’s not trademarked. This is another really good resource for you. You want to make sure even if that .com is available, is it legally available? Go into namegine.com. You can type the name in there and it’ll run a trademark search on that domain name just to make sure you’re really covering yourself and you’re not going to get yourself in trouble down the road. Search for the best domain name for your appraiser business. When you find one that you like, register it! We recommend Godaddy for buying domain names. Have questions on domain names? Let us know by leaving a comment below or post it in the free Appraiser Insider Facebook Group.